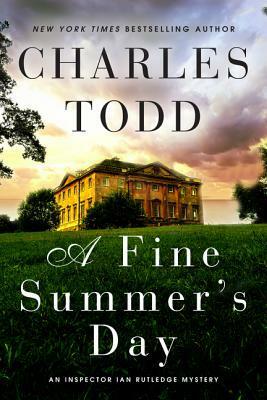 Inspector Rutledge is sent to investigate a murder where the victim had no known enemies. The more he investigates, the less the case makes sense until two other seemingly unrelated men lose their lives in the same way and Rutledge is led on a strange case he must solve before breaks out all over Europe. This is a very detailed and thrilling historical mystery. I enjoyed this despite mysteries not really begin my thing and this this being the seventeenth in a series had no effect on my understanding. This book stands just fine on it’s own. There are a few frustrating parts; especially Rutledge’s fiancee, Jean, who knows she’s marrying a police officer yet is somehow all huffy when he has to go do his job yet wants him to enlist in the army as World War I looms? She’s such a superficial character I couldn’t wait for her scenes to be over so the adults could talk again. But it’s a well written, cozy mystery with other very intuitive, smart, and realistic characters. 3.7 out of 5. *This review is cross-posted at Otakus and Geeks. Danny is out secretly buying nail polish and ends up thrust into the middle of a superhero battle. Defeated, Dreadnought transfers his powers to Danny, giving him super human abilities but the female body this transgender teen has always wanted. But not only does Danny have to deal with coming out as the new Dreadnought, she also must come out to her strict parents, the Legion of other heroes, and content with Utopia, the cyborg villain who killed Danny’s predecessor. After reading “Black Angel” I was a little nervous about another LGBTQ YA novel. However, this book is much like “Rebel Genius” in that I was hooked and entertained for most of this despite being a sorry old lady outside the target demographic. This novel touches on the good and bad about being a trans teen with the added flight of fancy that if anyone bullies you for being trans, you can pummel them into the ground. Danny is such a great kid, you can’t help but root for her and just outright DESPISE what she’s put through. And, as a comic book geek, this also makes for an awesome superhero story. There is genuine peril Danny has to deal with as a budding super-heroine and despite the world ending consequences; the story doesn’t feel like it gets bogged down when dealing with the issues surrounding a transgendered individual. Some reactions are almost TOO evil but I think that’s just the part of me that is desperately holding on to a shred of hope in humanity. 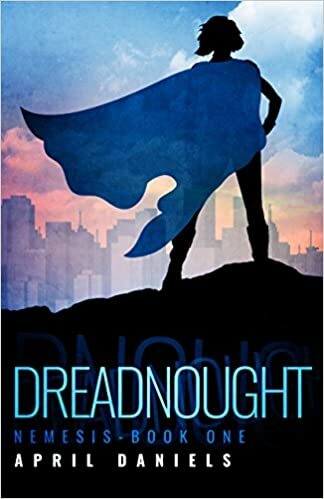 It doesn’t pander, it doesn’t preach; “Dreadnought” is a well-written, wild ride, and if it’s the start to a series; I look forward to more. 4.7 out of 5. Kira Vidal is a Deadbringer, possessing the ability to summon souls and raise the dead. Likely the last of his kind, this fifteen year old boy hides his abilities while living with his uncle. In order to live in peace, he has to keep out of reach of the Ascendancy and their elite soldiers called the Sanctifiers; who are charged with the mission of killing all Deadbringers. When a stranger shows up at their door asking for help, Kira’s secret is exposed and he must protect his uncle while learning the truth behind his powers. The world-building done in this novel is accomplished by dumping you in and wishing you luck yet at the same time it’s immersive enough for you to get lost in it. 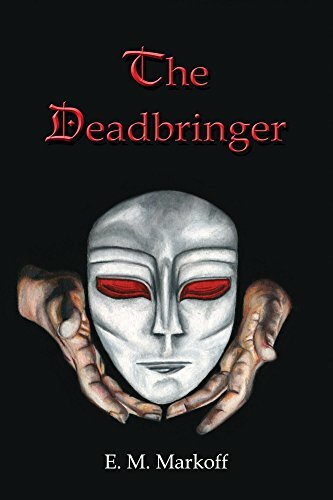 There are a lot of interesting and distinct characters and while some may fall into typical fantasy tropes (like the mysterious counsel of evil hidden in shadow, climactic battle at a wall with ground troops, horned people, etc…), they all managed to get into my head clearly so I stayed interested throughout the entire book. At times the conversations lagged or got bogged down in WAY more complicated words than necessary; the narrative meandered off on occasion but once the story centered on Kira and his journey, this novel shined. Even with the cliffhanger ending (Arrgh! Where’s the next one!!! ), I ended this book feeling like I had a good time. As a fan of dark fantasy, I give this story a 3.5 out of 5. Ah, yes. It has been too long since I’ve written an update for you guys so here’s what Lenni has been up to. It’s still been a short story blitz for me these days with a little editing in between. I have learned that there will be no after camp program for my daughter this summer so after turning my schedule into absolute knots to make sure I can pick her up and drop her off, I am more motivated than ever to try and make more money for my writing. Not just to make more to pay down the mortgage early but to be able to afford to pay for a nanny or a bus service to make sure my daughter is in a safe place so I can work my regular hours. As I’m sure you are aware, Fiction Friday was skipped last week. This was because I straight up lost the notebook Winter Boot is in. I found it. ^_^We should be getting back on track now. So, that’s about it. Back to work for me! On this freezing morning, I think we all are thinking of curling up in bed with a book and hiding from the cold. Alas, I am at work (in a freezing office) so here’s an updated book count to warm you all up!